Thank you so much! You've done a REALLY good job of translating; the dialogue flows smoothly and the fonts fit perfectly! I really appreciate all the care that has been taken with the translation,typesetting, etc. 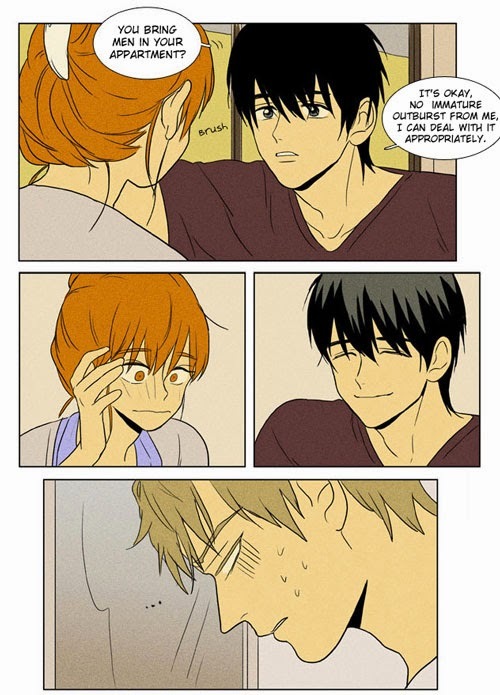 of this manhwa. these little cheese parody tidbits on the front page make my day. thanks for another great release! I think the other anon meant you should thank proofreaders along with translators for the smoothness. Because Translators bring meaning, and proofreaders bring smoothness and contextual corrections. (I guess the author might feel this way when people argue over what's happening in the manhwa though, hmmmmmmm.... OR she's as master-evil-minded as Jung).